Enjoy your time in the sun, spend a relaxing day at the beach, and then come home to a cool crisp house. There is no need to suffer through the warmest season of the year. 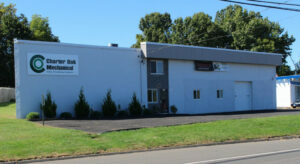 Charter Oak Mechanical in Manchester CT offers dehumidifier services. There is so much more to comfort than just comfortable temperatures. Ask yourself: are you completely dry and comfortable in your home? If not, don’t you think that it is time to take the initiative and to do something about it? With the right air quality systems and the services your home or office can be free of humidity. There is a long list of problems that high humidity levels can lead to, and not one of them is desirable. Out of control humidity promote the growth of mold and bacteria in your home or leave your house feeling damp and smelly. With a quality dehumidifier you can improve the humidity balance for more comfortable living, and preservation of your home. For more information about dehumidifiers please call the experts at Charter Oak Mechanical. Thank You for reading our blog we look forward to servicing your home soon.